- - Navigate to... - - ABOUT - - PHILOSOPHY - - TRAINING - - OUR FOUNDERLET’S TALK ABOUT… - - RELATIONSHIPS - - DEPRESSION - - STRESS - - ADDICTION - - PTSD - - ANXIETY - - TRAUMA - - ANGERSAY HI! 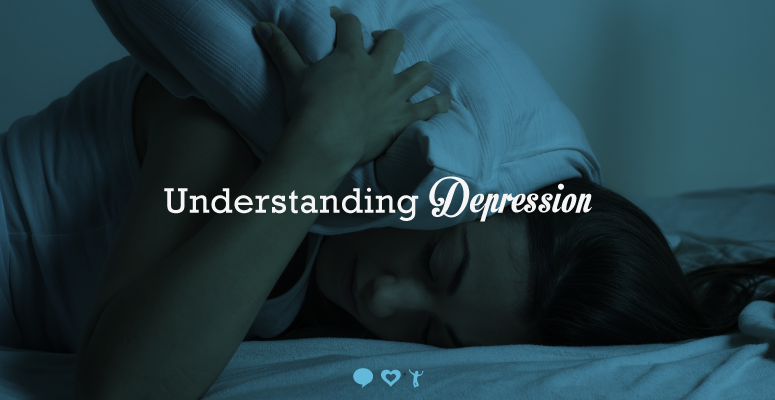 Major depression,—severe symptoms that interfere with your ability to work, sleep, study, eat, and enjoy life. An episode can occur only once in a person’s lifetime, but more often, a person has several episodes. Persistent depressive disorder—depressed mood that lasts for at least 2 years. A person diagnosed with persistent depressive disorder may have episodes of major depression along with periods of less severe symptoms, but symptoms must last for 2 years.